A Custom Landscape with Artificial Grass, a fire-pit and large rocks - Curb Design Inc.
Large Landscaping Rocks with a huge fire-pit located right in the middle. Putting green or artificial grass located on the far back corner. 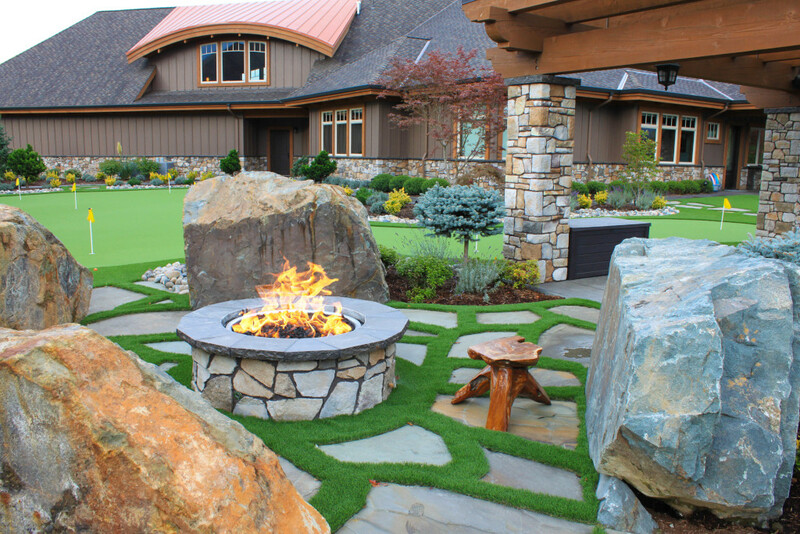 This landscape also includes golf style grass turf with golf holes. The putting green also has yellow colored flags. Custom curb appeal and large pergola located in the far right of this landscaping image.